Mary Tucker has more than 20 years of combined experience in leadership, management and operations in the corporate and nonprofit sectors. An independent defender of women’s rights and ardent patient advocate, she founded UPIC Health, LLC in 2014 after identifying an urgent need for value-based customer care in the healthcare industry. Prior to launching UPIC, Tucker served as the Director of National Contact Center Operations for the Planned Parenthood Federation of America where she was recognized for aggregating meaningful patient insights and exposing barriers to continued care and optimal health. Before her role at Planned Parenthood, Tucker advised the District of Columbia’s chief technology officer streamlining technical help desk operations in nearly 83 district agencies and implementing best practices, such as the nation’s first public sector deployment of Net Promoter Score (NPS) methodology. Tucker earned her early street cred as a site manager for five years with Teletech Holdings and then moved up the traditional management chain through positions of increasing responsibility at Computer Generated Solutions and Philips Consumer Lifestyle. Tucker was recognized by Smart CEO Magazine with a 2016 BRAVA Award and has been featured on Federal New Radio’s What’s Working in Washington talking about empathy as the most important skill for today’s leaders. Tucker also served on the Campaign Board of the Victory Fund, an organization dedicated to putting LGBT candidates in office. UPIC Health, sponsored a table at the Victory Fund’s 2017 Annual Event, assuming the organization’s place alongside all those who fight for human rights spanning gender, race and sexual orientation. 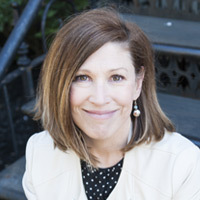 Tucker also is a member of The Women’s Media Center’s SheSource, an online database of media-experienced women experts that WMC connects to journalists, bookers, and producers.